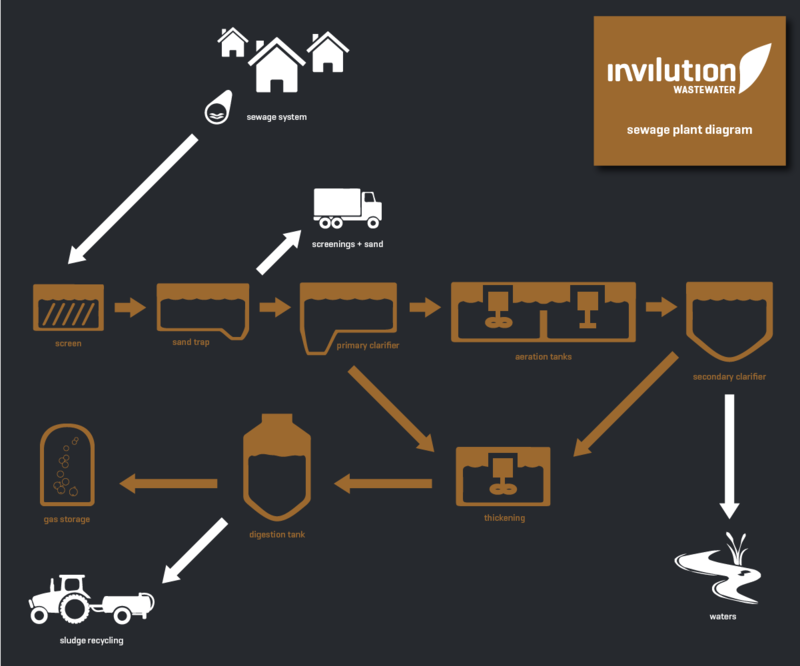 ınvılutıon is the automation solution for your environmental facility. Experience in automation of environmental facilities since 2001 showed us, that the key requirements are usually very similar. There are recurring tasks and wishes. Many of them cannot be realized because of cost pressure. We have given us the task, to create a package of a reusable control system including the wishes. This package can be adapted rapid and simple to the facility circumstances and to the wishes of our customers. Based on an automation platform for tunnel automation we were able to realize this vision. Our environment is a precious heritage. We should be as careful as possible with it. This fundamental idea is the basis for the development of ınvılutıon . With ınvılutıon you have full control over the activities on your facility. The data recording functionality is the basis for the calculation of important process parameters. We provide a reliable and intuitive solution for the automation of you facility. You will be informed over the important process parameters by the clearly structured data preparation. We offer ınvılutıon for different sectors. Many facilities in the sectors biogas, water, wastewater and compost were put into practice successfully. On the basis of long term project experience we developed the features of ınvılutıon. Particular attention was paid to eight aspects. In reference to these cornerstones the single features of the software package were created. The core of invilution is based on fundamental features. A database-driven system from the field to the management. Status surveys and continuous documentation are possible by using the log book. Isolate the alarm in a rapid and easy way. Experience a simple alarm correction. A simple way to get an overview of your performance indicators. 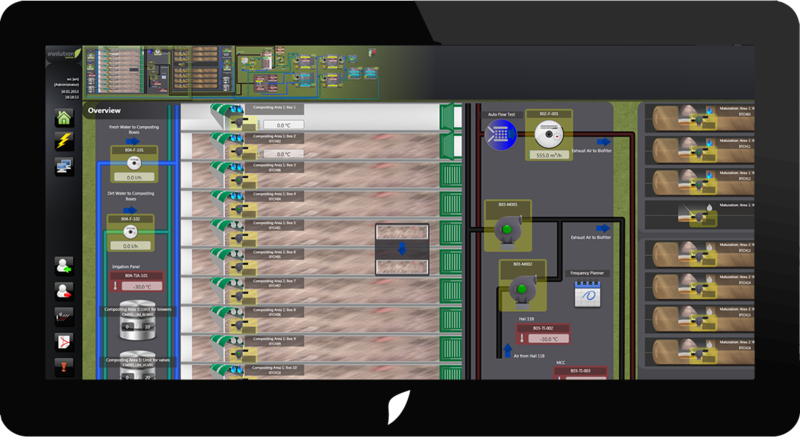 Intuitive operation is ensured by a realistic representation. Comparison of relevant data for your work environment by drag and drop. We provide tools to optimize the efficiency of your facility. The log book is used to record all work steps and for defect management. Get your data structured and discover their connections. Since the market introduction in 2011 numerous projects have been successfully implemented and the number is constantly rising. The ınvılutıon-system is already in use in Europe, China, USA and South America. The technology of ınvılutıon enables a full internationalization and thereby making it possible to use it regardless of the language. 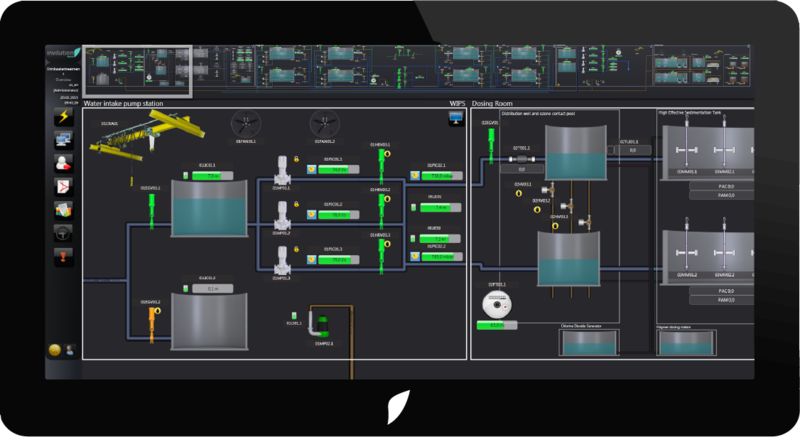 Full control over your biogas plant. 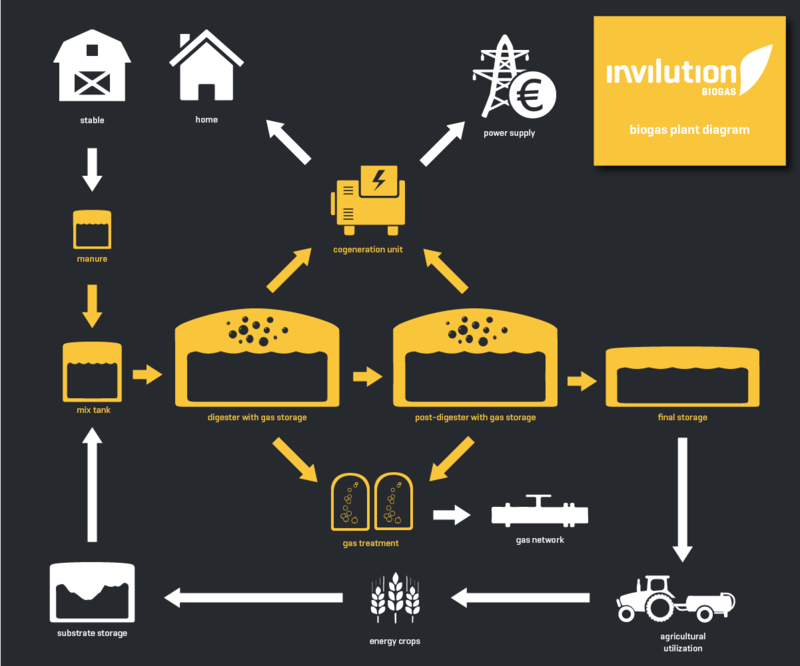 ınvılutıon is an intelligent control system and involved in all processes of the biogas plant. From dosing over fermentation to biogas analysis – our system has a watchful eye on your plant in every case. What offers ınvılutıon for you? 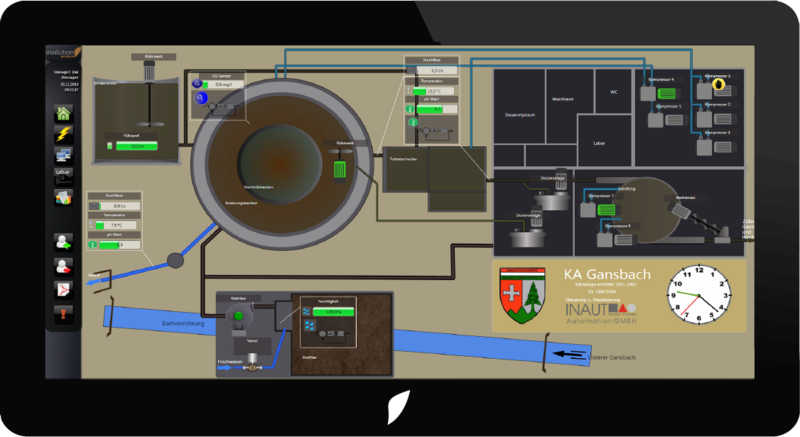 Our system already begins at the mixing tank and controls the pumping processes as well as the material dosing. The agitators and the pumping system can be controlled generally by an automatic operation mode. The program will react pro-active on changes in the system. If the temperature in the digester rises, the interval time of the agitators will be adapted. In the case that a fast, manual pumping process is necessary, the priorities will be controlled by the system and the processes will be adjusted. Process optimization is another important issue. For this purpose the sequence table was developed. Processes can be defined here and will be displayed clearly arranged. The day planner is providing the possibility to make a time schedule for the single processes and thereby ensure that the capacity is improved. The connection to gas analysis offers effective control of current process quality. Adaptations on the Processes can be induced by changes on measurement values. Your solution for an up-to-date plant! Clean water is one of the biggest challenges of the future. ınvılutıon water is aimed for the international market and can be used worldwide. The most modern control systems also for small plants are essential for water quality. An important issue for us is also that it is possible to use ınvılutıon for plant renewals. The link to existing solutions is supported by hardware independence and is a great advantage of ınvılutıon. The ınvılutıon-system is perfectly suited for retrofit of existing plants. Big parts of the existing system can be adopted. The automatic pumping feature ensures that the right amount of water is always on the right location. In this way smooth operation is preprogramed. 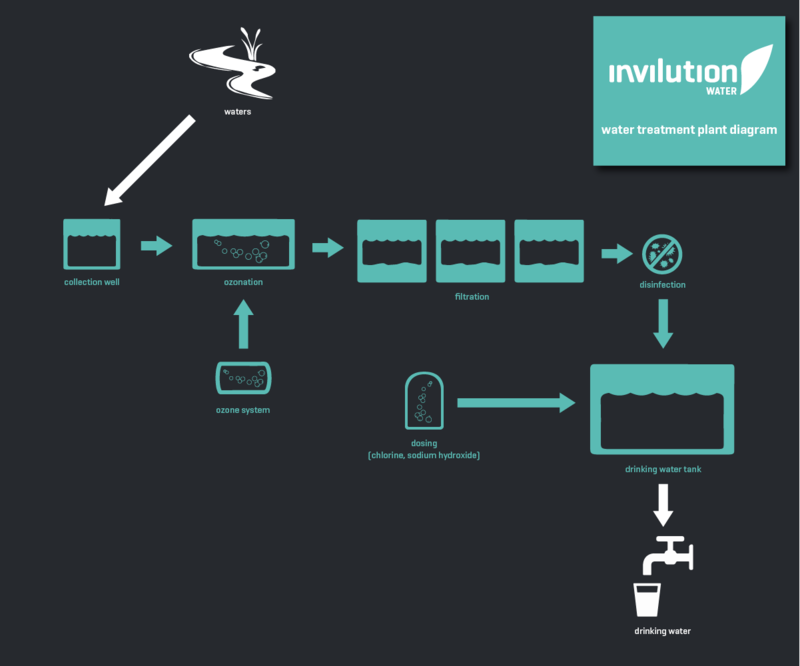 To guarantee the purity of water disinfection is important. This is the only way to make sure that the water quality is consistent with the requirements of the standard. 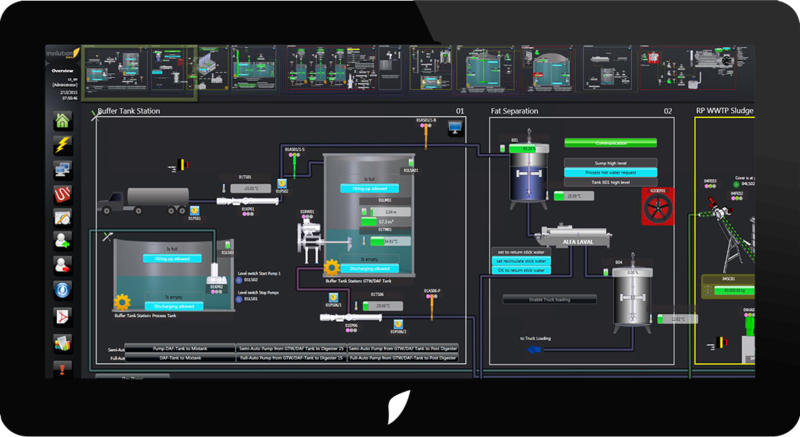 The single pumping processes can be organized in the software. They are available as processes and the basis of automatic plant operation. There are different ways to reach the water quality. Dosing of chemicals will be carried out operation-optimized. The filtration system is regulated by ınvılutıon optimally. Impurities can be taken out by using the drainage function. By disinfection unwanted bacteria can be removed. The filters can be cleaned regularly with the backwash functionality. This way they remain operational as long as possible. Everything is monitored constantly by selected measurement technology. All things new with ınvılutıon! 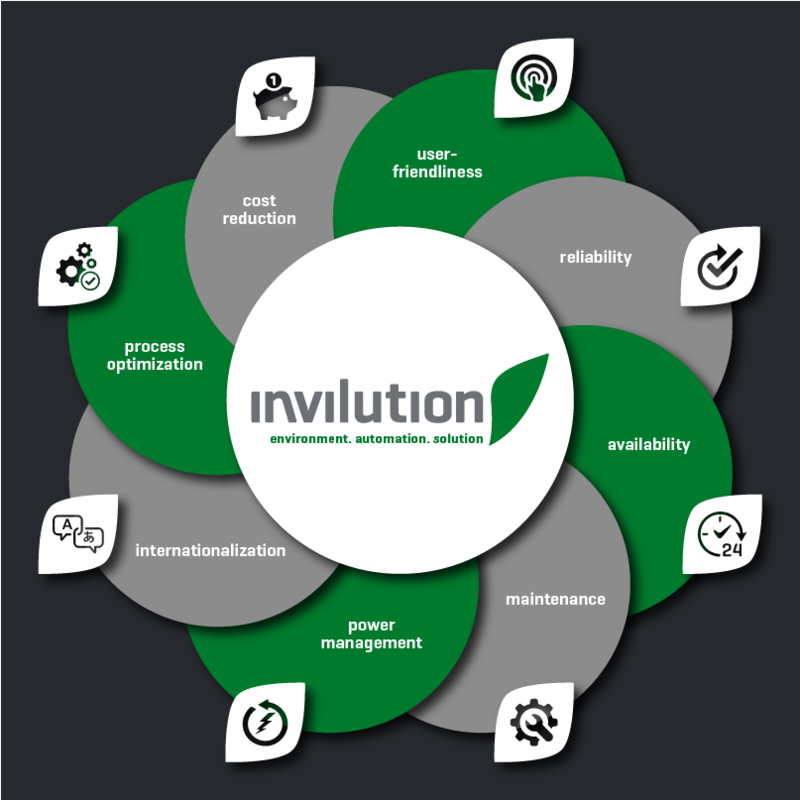 By using ınvılutıon you have the solution to upgrade your plant to the newest technologies. The hardware can be taken over partially and will be combined with new components. The control technology is up-to-date and ensures the smooth operation of your plant. ınvılutıon is perfectly fitted for a retrofit of existing plants. This is simplified by the modular structure and hardware independence. Pumps and agitators are operated automatically of course. The process of mechanical cleaning is also controlled by ınvılutıon. Water quality and efficiency are the most important targets of a sewage plant. The optimal oxygenation is granted by the nitrification control. Unwanted bacteria will be removed by disinfection. Everything is constantly monitored by selected measurement technology. Test result reports have to be created regularly as operator of a sewage plant. ınvılutıon offers a report function which can be adapted to your requirements. Full control over your composting plant. 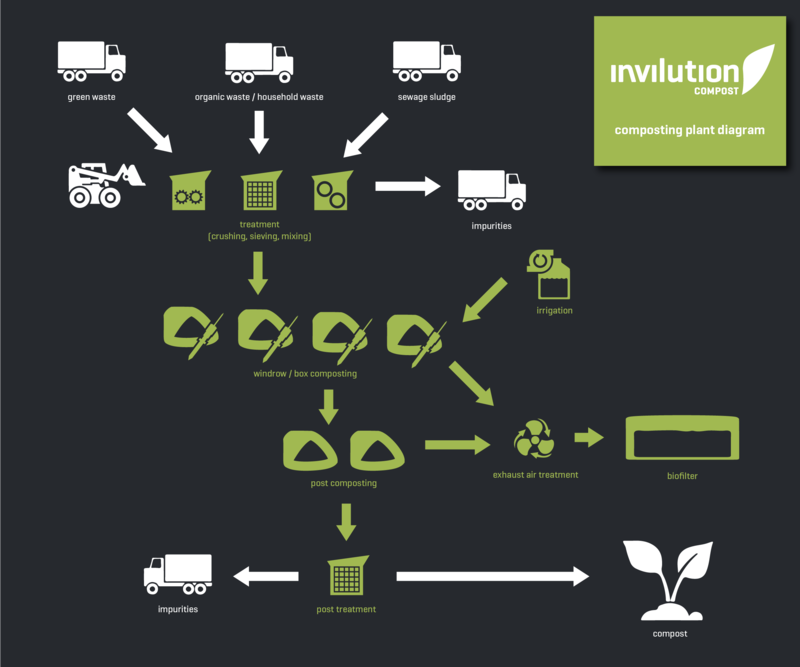 On the basis of long-term experience in composting plant projects we generated the product ınvılutıon compost. It combines the expertise developed over the years and the innovative technology of the system to the best solution for your plant. Air inclusion is important for the material development. Two different automatic modes are available. Aeration can be controlled by using a frequency planner. Another important aspect is the cleanliness of the air. The ammonium scrubber is controlled by ınvılutıon for air purification. Exhaust air can be directed into a biofilter which is monitored and the temperature is regulated. The composting process can only be efficient, if the temperatures are monitored continuously. No problem with wireless temperature measuring probes. 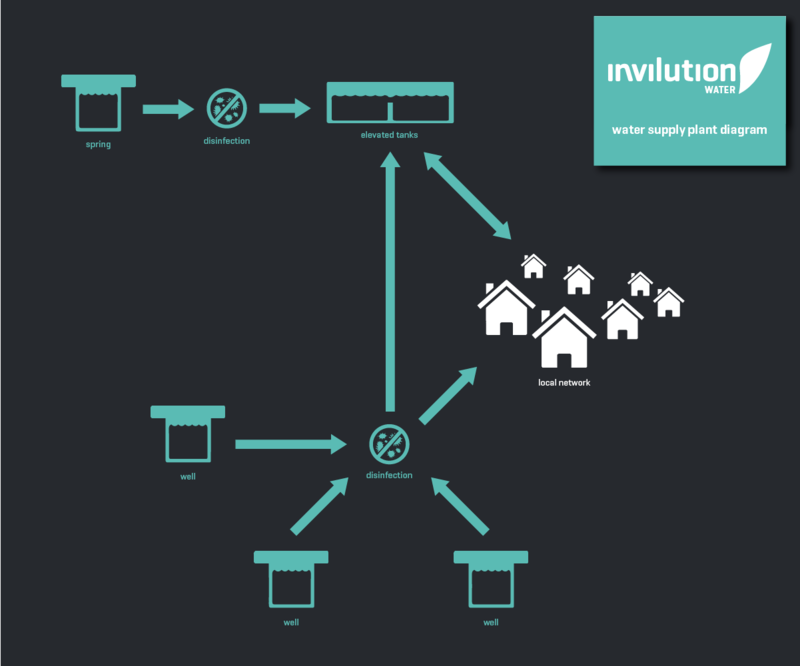 You can program the automatic irrigation system on long term basis with ınvılutıon. Additionally the whole water treatment is controlled and takes care that the right amount of water is at the right place. It is important that the whole process of compost is visible in reports. An important tool is named batch tracking, which will actualize the data on every turning operation. Contact us, we are looking forward to! Declaration of consent according to DSGVO Art 6 Z1 lit a for the processing of my contact data.